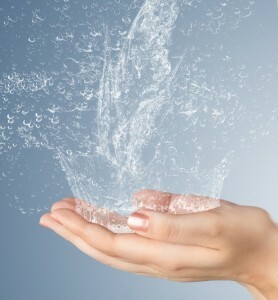 If you’re looking to improve your home’s water quality, a whole house water system from RainSoft is just what you need. As a worldwide leader in the home water treatment industry, RainSoft can provide you with a premium filtration system that is the result of years of constant improvement, testing, and research. We have supreme confidence in the effectiveness of our whole house filters, which is bolstered by the fact that all of our products are Tested and Certified by the Water Quality Association to verify that they perform as advertised. What’s more, we back all of our systems with a Limited Lifetime Warranty that is unmatched in the industry, demonstrating our complete faith in our systems’ ability to provide you and your loved ones with clean water for years to come. Of course, the true benefit of our whole-house water filters is their ability to remove an incredible range of impurities from your home’s water. We offer an impressive number of highly advanced systems, each tailored to remove specific problem contaminants that may be present in a home’s water supply. In order to determine which of our systems will relieve the issues you’re experiencing, we’ll schedule an in-home water test with one of our technicians. Using the results of this comprehensive water test, our technician will be able to recommend one or more of our systems to provide the best solution for you and your family. To learn more about how a RainSoft whole house water system can improve your home’s water supply, contact your local authorized RainSoft dealer today.